Where: Toyota Stadium, Frisco, Tex. The Bobcats are 8-4, but they’ve been competitive in most of their losses, as they fell to Cincinnati, Northern Illinois and Miami (Ohio) by a combined nine points, while its other defeat was by 14 points to Virginia. Of the four losses, only one could be considered a bad loss–the team’s fourth loss came to in-state rival Miami (Ohio), which won 30-28 in a late-season effort to finish 6-6 but missed out on a bowl game. 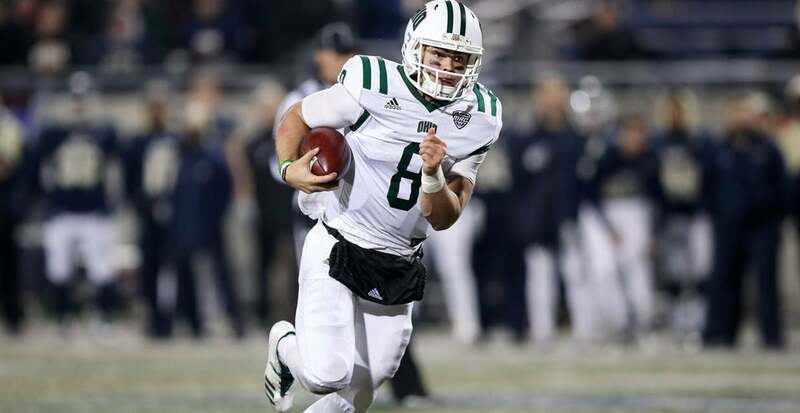 Ohio bounced back from that Miami loss with a 52-17 thrashing of 10-win Buffalo before scoring 49 points in a win vs. Akron in the final week of the season. One more point in that game and Ohio would have scored 50 or more for the fifth time. The Bobcats are going for a second straight bowl win and a second-straight nine-win season. Ohio has finished .500 or better every season since 2008. Key Player: QB Nathan Rourke has thrown 22 touchdowns and rushed for 13 more. He’s also averaging over six yards per carry and averages nearly nine yards a pass attempt. Overall, he has thrown for he threw for 2,225 yards. He has been the key all season for the Bobcats and will be the key again in this game. Fantasy Bonus Baby: WR Papi White has 897 receiving yards and nine touchdowns. Most likely, the Aztecs will be trying to stop the strong run game with Rourke and RB A.J. Ouellette so look to White to have a big game in this game in hooking up with Rourke as his key target. San Diego State started the season with a 31-10 loss to Stanford and proceeded to win six straight games to get bowl eligible after an ugly 16-13 win over San Jose State. Since then, SDSU lost four of its last five games including its last three. 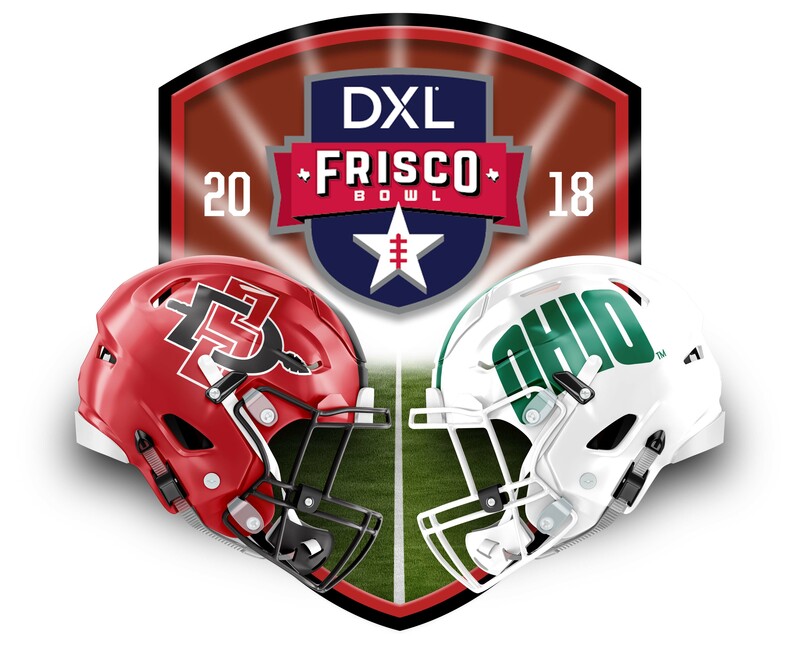 SDSU lost to Nevada, beat New Mexico and then lost 27-24 to UNLV, 23-14 to Fresno State and then the season ended with a 31-30 loss at home to Hawaii. One thing going in favor of the Aztecs is its fourth-best in the FBS rushing defense that has given up 1,134 yards on the ground, which is 94.5 yards conceded per game. Even though the Aztecs struggled as a whole to finish out the regular season, they held Hawaii to 64 rushing yards so that area of defense will be the strength coming into this game. Key Player: QB Christian Chapman or QB Ryan Agnew will need to perform well in the passing game for SDSU to have a chance in this game. Ohio will be coming after whichever quarterback plays as defense has 22 sacks and 15 interceptions on the season. Fantasy Bonus Baby: RB Juwan Washington has 180 carries for 870 yards and 10 touchdowns in 2018. The big thing is that he did all of that in eight games. Washington missed the entire month of October due to injury but returned on Nov. 3. After rushing for over 130 yards in each of SDSU’s first three games of the season Washington didn’t break 100 in his next four. But he had 31 carries for 158 yards and two touchdowns in the Hawaii game. He will be top offensive performer for the Aztecs and should be the top offensive performer.